Handcrafted in 18K white gold with a 1.02ct round brilliant cut centre diamond, and surrounded by 28 diamonds of 0.16 carat total weight. A beautiful millgrain finish has been applied to the leaf motif. 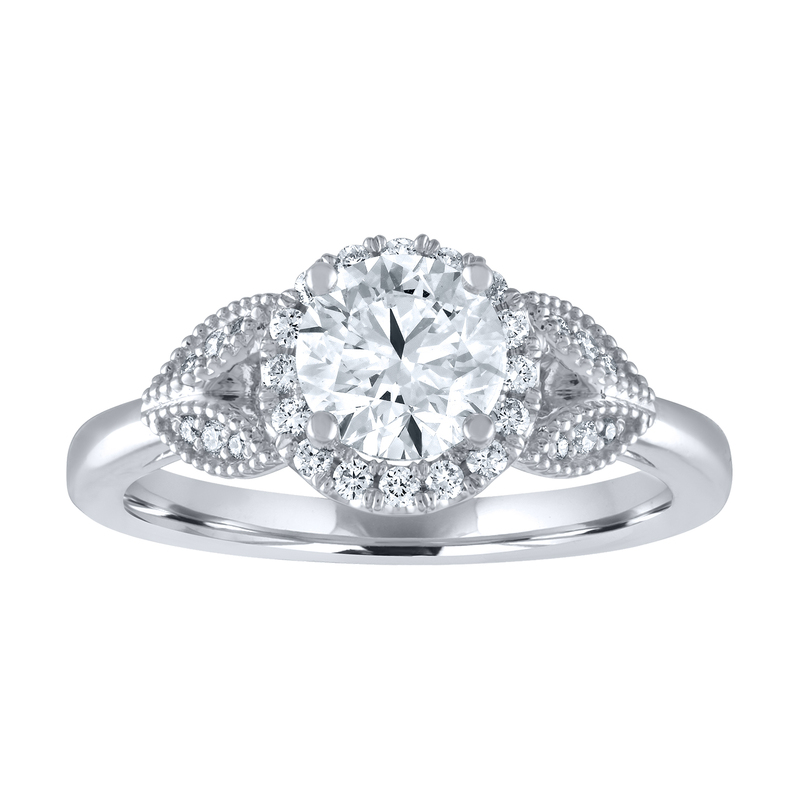 This ring can be tailored to fit your preferences and budget by altering the gem size and diamond grading. It may also be handcrafted in yellow gold, rose gold and platinum.